Many look at condos as an affordable option to home ownership. In Eugene and Springfield that’s true—you can find decent condos under 100K locally. The rub is financing. Condos can be difficult to borrow against. Within the last year, over ½ of The Farm condos on Cal Young sold. Unfortunately, probably 90% of them will have to sell before they are easily financed. And they’re hard to sell without financing—lenders aren’t making this any easier. 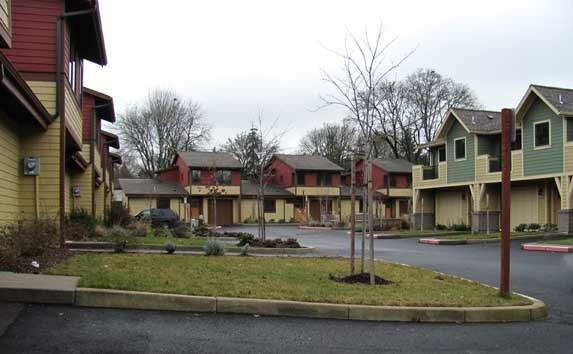 A condominium project in Eugene. This entry was posted in Eugene Realty Listings, Real Estate and tagged borrowing, condos, Craig Tomlinson, Eugene Real Estate, Lane County Real Estate, the farm. Bookmark the permalink.